There's still nothing as classic as a neon sign. Seen the world over, neon brings your brand to light using bright, colorful messaging. Neon is still one of the most versatile sign styles today, and are a great product for restaurants, bars and retail stores. Its beauty and color provide the best eye-catching image for customers and clients. 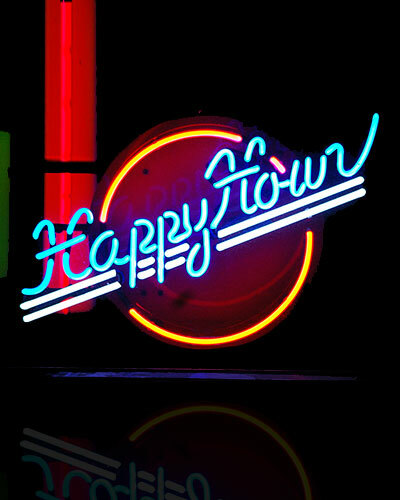 Neon can be custom fabricated for most any image style or lighting need (including decorative border lighting). Some applications might be better suited for LED lighting (often used for OPEN signs and flashing messaging). We supply LED signs as well, and will make the right recommendation to suit your need. We're happy to help answer any questions you may have about neon or LED signs! Our team of professionals will work with you to ensure that every project is completed to your satisfaction. We take a great deal of pride in the service we provide, and we aren't happy until you're happy.